If you’re ready to make a bold change this season, we’ve got the perfect styles for you! We all want to go a little crazy sometimes. What better way than by changing up our look with bold new hair. There are so many different things you can try, but we’ve gathered 4 of the most outrageous cuts and styles that are sure to turn heads! 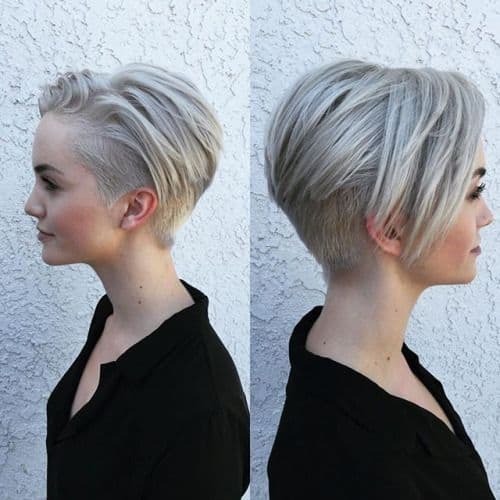 If you’re rocking long waves, try a bold pixie cut. Go where you have never gone before by braving the scissors and letting those locks hit the floor. Pixie cuts are all the rage right now because they are such a bold statement that absolutely transforms your entire demeanor. Tired of your regular hair color? Sick of that poor quality color from a box dye? Then you need to take action now and try a dramatic color. Try going fire engine red! Or the hottest trend, mermaid hair. No matter what you choose, a dramatic color change can help improve your mood by helping you feel like a brand new person. If you’ve had the same hairstyle for years, then switch up and go for a classic, sleek bob. A sleek bob is sure to help you feel more professional and ready to tackle anything. The flawless look of a sleek bob will help you feel your most confident. Maybe you’ve always had short hair and you’re ready to rock a dramatic change by adding in some extensions. Adding in lush, thick extensions to your short hair is an easy way to help transform your look and give you a new outlook on life. No matter what kind of bold look you want to try this season, the professionals at Illusion Unlimited Salons can help you achieve it. We specialize in all the latest and greatest styles, techniques, and products. We are sure to be able to help you get that bold look that will transform you into a new person. If you are in the Ohio area, please stop by one of our locations. We are located in Strongsville, Parma, and Broadview Heights. Call today and get ready to experience a truly unique salon journey with Illusion Unlimited Salon.